I recently started playing in a tournament series that meets every 2 weeks for about half the year and plays eleven $50 tournaments. There are around 55 players in the group, and I had played with only about half a dozen of them. It is a long-standing group and the skill level is a bit higher than I am used to in live play. I have read that the players in a poker ecosystem often play in a similar style as the good players learn from each other and start to mimic play and styles that work. I have definitely observed this happening in this group. One example is that the continuation bet is nearly automatic – regardless of number of players in the pot, board texture, stack sizes – the preflop raiser appears to make a continuation bet somewhere north of 80% of the time. Since continuation bets are so common, one of the counter strategies that has been developed has been the flop float – calling the continuation bet with all sorts of hand strengths, sometimes barely any hand strength at all, in an attempt to wait for the raiser to check and to take the pot away on the turn or river. Here is a hand I observed in my last tournament as an example – a player I knew to be pretty tight preflop made a raise in early position and got three callers. He lead out on an Ace-nine-four rainbow flop, and one player called. He called very quickly, without much thought. The turn paired the four and now the preflop raiser checked. The floater bet very quickly and the raiser shook his head, flashed pocket kings, and folded. The woman who won the pot raised her eyebrows in surprise as she dragged the pot her way, leading me to believe she didn’t have the ace, but instead perhaps a smaller pair that had just won the pot with the worst hand through her floated flop. As we saw in the example hand above, pairs below top pair might not necessarily be second best against a floater. One should consider many second pairs to still be value hands when betting both flop and turn. 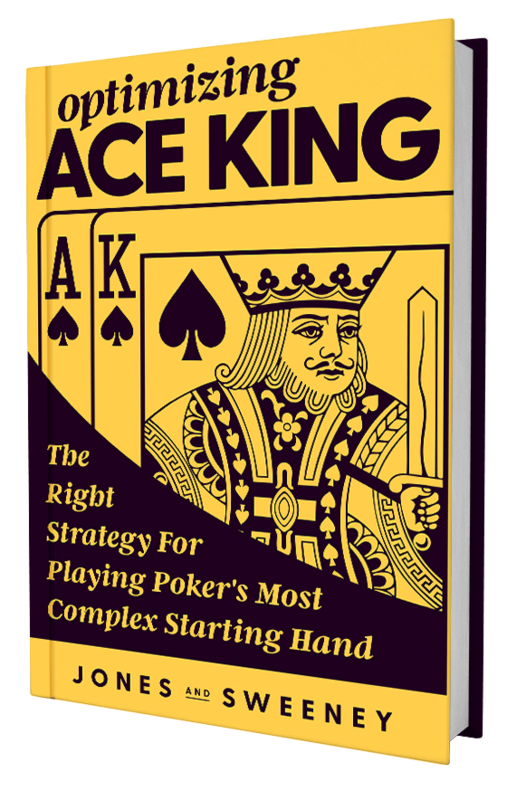 Any pair between sevens and kings on the Ace-nine-four board above should be considered a value hand, since many nine-x hands, backdoor flush draws, and even unpaired broadways might call the flop bet, not so much based on the equity of their own hand, but using the possibility of picking up the pot after their float as reason enough to continue. Since we know the floater is going to be calling the flop with an overall weak range, we should increase the standard size of our flop bet. Note that we should probably do this both when we have a value hand and when we’re bluffing, as to not give away the strength of our hand. This move should be profitable overall because the number our value hands are increasing (see first point). Since the floater is calling many flops just hoping we give up, we need to not give up quite as often. We will of course fire a second barrel on flops where our equity picks up, where scary overcards come, and all the usual places where double barrels often succeed, but we should consider firing again even on turn cards that don’t provide any of those benefits. This bet should look like the “I mean it, I really have a hand” bet to the floater (who often has nothing or next to nothing), and cause them to release. This has become my favorite tactic against the habitual floater. Since they are waiting for us to show weakness by checking, we shall oblige them to set off the flags that our hand is no good, and open the door for them to try and take the pot away on the river. Of course, we’re going to call the river no matter what card comes or how scary the board is. Here is an example from my most recent tournament – we were at the 250/500 blind level in the tournament when a player to my direct right limped. I raised him up to 1500 with AK offsuit and he called. We saw an Ace-eight-four flop, with no flush draw possible. He checked and I bet 2700, which he called rather quickly (note the larger, around 75% size flop bet, as per suggestion #2). The turn was a very innocuous three (which brought a backdoor flush draw) and he checked again. This card didn’t scare me at all, of course. I felt like if I bet again, the floater would simply fold, but if I checked, I stood to perhaps gain another bet as a bluff from the floater. I checked back. The river brought an offsuit deuce, making the final board Ace-nine-four-three-deuce, and my floater friend followed my plan perfectly and lead out for 5000, flipping a single pink chip to the center. Despite the four-straight out there, I stuck to my guns and called, at which point the villain said “nice call” between grit teeth, and mucked. This strategy will sometimes fail, of course – my turn check above could have let Ace-five, pocket fives, or pocket deuces spike a longshot card and send me to tiltsville, but I have found that these pots that I end up losing are often smaller than those I end up winning. Remember, I have feigned weakness by checking the turn, and some villain who suddenly hits a big river card isn’t going to be able to bet a large amount that I can call – he has to find some small, callable amount that I will call. Therefore, his value bets are small, and his bluffs, where he has nothing and really wants me to go away, are larger. We get him doing exactly what we want – putting more money in the pot when he’s behind than when he’s ahead! The good player employs the float to counter the continuation bet. We can re-counter his float with the strategies above, and move the winnings back to our side of the ledger.